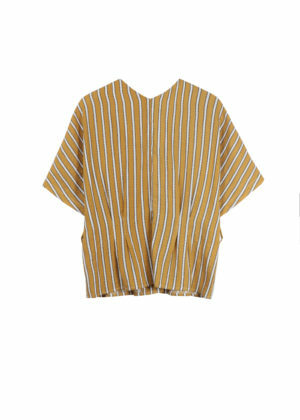 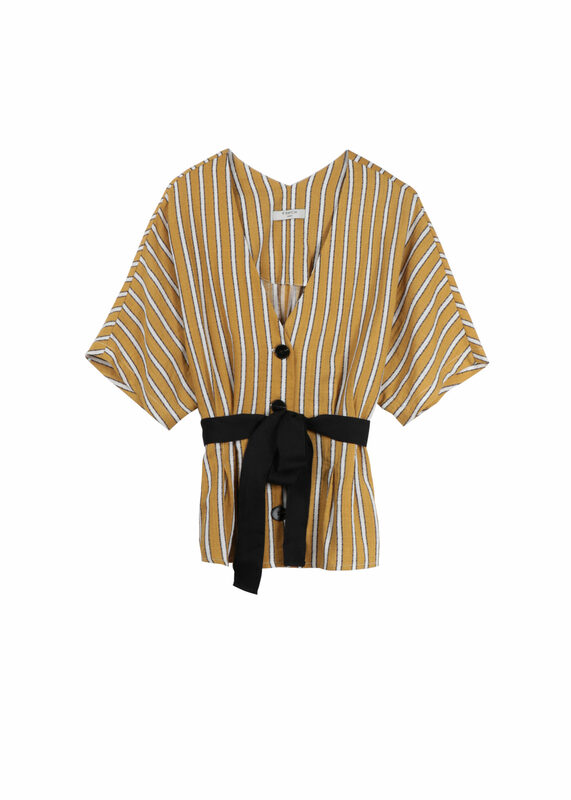 Mustard and white stripe kimono style top. V neck, button and belt detail. 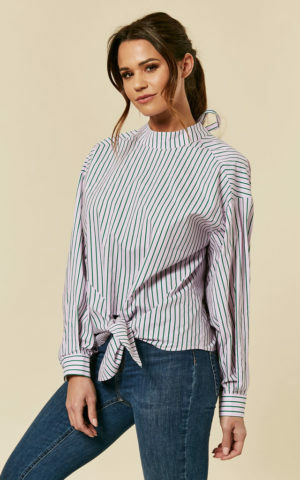 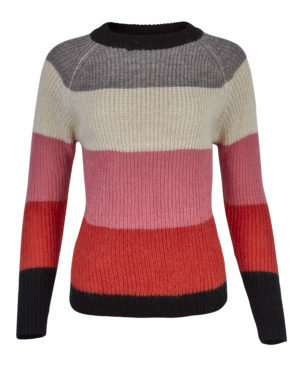 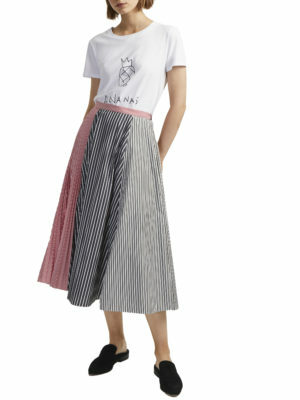 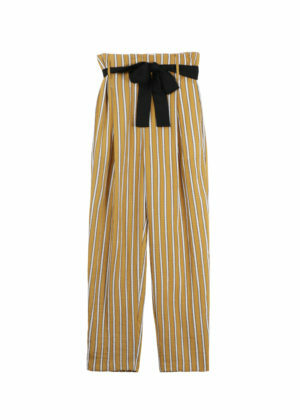 If you love stripes why not try pairing it with the matching trousers to complete your look!